There are all sorts of barriers in the way of getting at the answer. The most obvious being the lack of data or research, at least in the UK. But you wouldn’t know it for all the apparent certainty of those who rail against this phenomenon. There are snobbish attitudes about the food poor people eat; greenish arguments about sustainability and wastefulness and leftish sentiments about the cruelties of ‘austerity’ policies to wade through too. I think few would disagree that we are all that bit harder-up as a consequence of the recent economic crisis, and some more than others. There has been a longstanding rise in world prices and wages have stagnated (and even declined in real terms). A third of those visiting Trussell Trust foodbanks – a network accounting for 400+ of the 1000+ foodbanks in the UK, and practically the sole source of statistics on foodbank use – do so on account of their low income, the loss of a job or their home, or because they’ve got badly into debt. Also well documented by the network is the impact of recent changes in the welfare system. Whether it’s sanctions imposed by job centres on those apparently not seeking work; the rise in delays in the payment of benefits; or the impact of various recent reforms from the benefit cap to the hated bedroom tax. This is the orthodox, and not wholly unreasonable, explanation. A combination of recession and jolts to the world economy, compounded by changes in the welfare system, are – on the face of things at least – responsible for bulk of the increasing numbers of people relying on food parcels. So far, so uncontroversial. This doesn’t explain why they’re there, but considering there were foodbanks popping up every week until recently, it is surely fair enough to point to the factor of increased supply as at least a part of the explanation. (Whether it is meeting real latent need is another question.) The others have variously doubted the capacities of the poor to run their own lives and budget effectively. An argument, ironically enough, implicitly endorsed by the Trussell Trust with the recent announcement that they are teaming up with TV money man Martin Lewis to offer their clients financial advice as well as food. Society has changed. We are the ‘bowling alone’ generation. People are much less likely to rely on the informal institutions of family, friendship networks or community; and church and trade union even less. While it may be that some experience acute shame and embarrassment in visiting a foodbank, and will do all they can to cope on their own, the cultural inhibitors that would once have led to an expectation of self-reliance are much weakened today. The taboos that were prevalent in traditional working class communities expressed the sense that there was something wrong about people relying on the state or on charity rather than on themselves and each other. The role of this extended state in our lives – with the charitable sector increasingly playing an important intermediary part –is not regarded with the sort of contempt it should be. Rather it is welcomed as a source of ‘support’ for an ever-expanding category of ‘the vulnerable’ with everything from their material to emotional problems. That, it seems to me, is ultimately responsible for the massive increase in foodbanks and food parcel uptake. Those on the right get this more than those on the left. Being conservatives they are more sensitive to change and its problems. They better understand that a reliance on foodbanks is not just an automatic thing but says something important about the people who use them. But people who use foodbanks are not feckless – well most of them aren’t anyway. 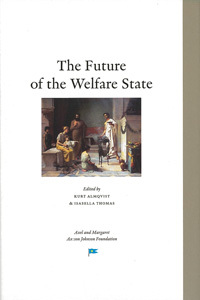 It is widely recognised, and on both sides of the argument, that there has been an outsourcing of responsibility for welfare provision. The government has abolished the social fund under which emergency assistance is centrally administered and devolved this function to local authorities – with a fraction of the money and even this will soon be withdrawn. It is cynically divesting itself of responsibility for supporting those in crisis. Locally too, whether it is job centres ‘signposting’ the jobless to foodbanks or local authorities sucking foodbanks and other charitable schemes into their orbit, much the same is happening. Both are passing on the problem to somebody else. Those of a leftish bent are right to be suspicious of this and to see it as a bad thing. Widespread foodbank use does not, whatever apologists might think, constitute a flourishing of the government’s ‘big society’ idea. But, importantly, it’s not even that the buck is stopping with foodbank clients either. The anti-poor rhetoric that the leftish complain about is actually quite restrained or on the margins of officialdom and always met with outrage. On the contrary, it is self-styled radicals and the foodbank industry itself who are busily portraying the poor, however sympathetically, as pathetic, passive creatures and as such ensuring that those in receipt of food parcels are deemed to have no responsibility for meeting their own needs either. The outsourcing is wholesale. So for the ‘radicals’, who claim that the real foodbank problem is one of ‘structures’, the poor and vulnerable (a distinction is seldom made) are at the mercy of the impersonal forces of neoliberalism. Similarly, for the often church-run foodbanks, the poor are hopelessly caught up in cycles of poverty, suffering from mental health problems and various other multiple needs from which they must be rescued. Indeed the Trussell Trust describe their foodbank service as being about ‘more than food’ for this very reason. This not only begs the question ‘is food the real problem here?’ but it also makes you wonder who exactly is doing the victimising.